Yes, big data is all the rage and incredibly powerful. And yes, it’s seductive that we can just “run a report” to see what customers and prospects are doing online. But…. Thirst for machined data can cause you to treat customer needs with LESS humanity and understanding, not more. And that’s a dangerous mistake. A few years ago, I did some consulting for Claire Burke, a company that manufactures and sells candles and scented air fresheners. Distributed in department stores, gift shops, and on their website, Claire Burke products are primarily purchased by women, 35 to 54 years old. Research told us this, and it was interesting information that we used when purchasing different forms of media to communicate to that segment of the population. But, knowing that 35 to 54-year-old women buy your products isn’t insight, it’s just data. An effort led by my friend Susan Baier dug deeper into the motivations behind Claire Burke purchases, and found the gold. 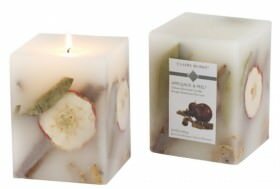 Of the five segments identified in the research, one group (approximately 15%) of customers purchased Claire Burke candles primarily because of the fragrance – the motivation the company was most familiar with. However, two other groups bought them for very different reasons: Twenty-five percent bought the candles to decorate their homes, so color and design were more important to them than fragrance, and twenty-one percent purchased them primarily as gifts, and cared more about the upscale brand and packaging. Yes, customers were 35 to 54-year-old females, but their rationale for purchasing the products fell into three highly specific, wholly disparate segments. Do not rely on data alone to make marketing and product decisions. Even with your array of seemingly magical software, the best way to find true insights is by actually talking to your customers. If you don’t have a program in place to routinely probe the motivations and routines and lifestyles and thought processes of your current and prospective customers, stop worrying about Facebook and get that process in place today.